Craig Raabe joined the partnership in 2016 from a large, regional law firm, where he previously served as the chair of the litigation department. Mr. Raabe has tried many complex civil and criminal cases. He is a Fellow in the American College of Trial Lawyers. He has been listed in The Best Lawyers in America© since 2006 (Copyright by Woodward/White, Inc., Aiken, SC), most recently in six disciplines: Bet-the-Company Litigation, Commercial Litigation, Antitrust, Regulatory/Environmental Litigation, White-Collar Criminal Defense and General Criminal Defense. The Best Lawyers in America© also has named Mr. Raabe as the Hartford “Lawyer of the Year” in the areas of Antitrust (3 times), White-Collar Criminal Defense and Intellectual Property. Chambers and Partners© has named Mr. Raabe to its highest level of recognition, Band 1, in the area of General Commercial Litigation and White-Collar Crime and Government Investigations. Mr. Raabe’s commercial trial experience is broad and includes areas such as antitrust, government contracting, fraud, intellectual property, and unfair trade practices. He also has tried many serious felony criminal cases in state and federal court and is active in the criminal defense trial bar. As part of his commitment to public service, Mr. Raabe has handled and tried significant court-appointed criminal matters, including death penalty litigation. In addition to his trial practice, Mr. Raabe counsels clients on compliance issues and the resolution of regulatory enforcement actions by government agencies. By appointment of the chief judge of the Second Circuit, Mr. Raabe has served on the Reappointment Committee for Connecticut’s federal defender, and the chief judge of the Connecticut district court appointed him to chair the United States Magistrate Reappointment Committee in Connecticut. In 2012, the Connecticut district court judges selected Mr. Raabe for the district’s Pro Bono Award for his service to indigent clients. 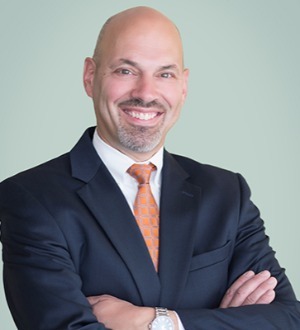 In addition, he is listed as one of the Top 50 Lawyers in Connecticut by Super Lawyers ® 2012 (Super Lawyers is a registered trademark of Key Professional Media, Inc.). Mr. Raabe serves as an officer of the Connecticut Bar Association’s Federal Practice and Antitrust Sections. Mr. Raabe is admitted to practice in the U.S. Supreme Court, the Courts of Appeals for the First, Second, and D.C. Circuits, the U.S. District Courts for Connecticut and the Eastern and Southern Districts of New York, the U.S. Tax Court and the state of Connecticut. He is an honors graduate of Valparaiso University and Western New England College of Law, where he served as Editor-in-Chief of the Law Review. Following graduation, Mr. Raabe served as the law clerk for the Honorable Arthur H. Healey of the Connecticut Supreme Court. Mr. Raabe is a commercial, instrument-rated pilot and is active in general aviation. He serves as a volunteer pilot for Angel Flight Northeast, which provides free air transportation to people requiring serious medical care.